Italy is an incredible country and a place that has so many different experiences and places to visit. 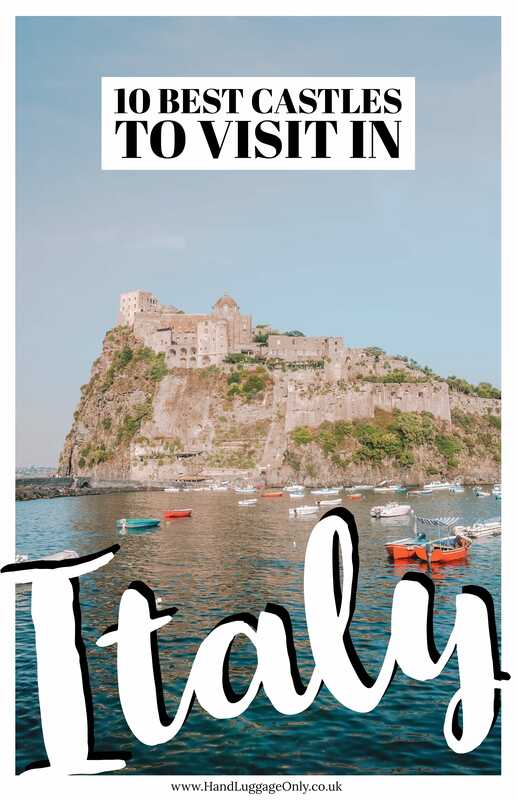 From the big cities of Italy, the gorgeous region of Cinque Terre and the national parks of Italy, there’s a whole bunch of places that I’m almost certain you’ll love. That being said, there’s also a huge collection of the best castles in Italy, that sometimes get overlooked. Now, thoughts of foods, rolling hills, monuments, beautiful villages and vineyards are probably first to come to mind when thinking of Italy? But, it’s worth remembering that Italy isn’t just made up of delicious gelato stands, historic monuments, and atmospheric churches. 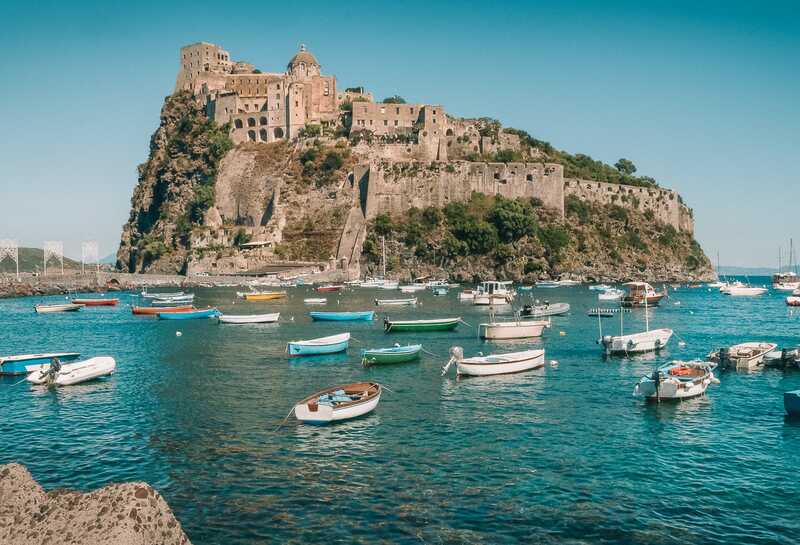 it’s also a place with some of the best castles in Italy that you can visit all across the country. Better still, they’re all so different (depending on if you’re in the south or north of the country). 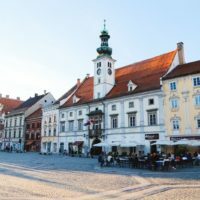 This is why I wanted to share some spots I think you might like. Better still, it’s quite easy to partner a visit to one of the castles whilst on your road trip across Italy, or if you’re staying in one of the bigger cities. 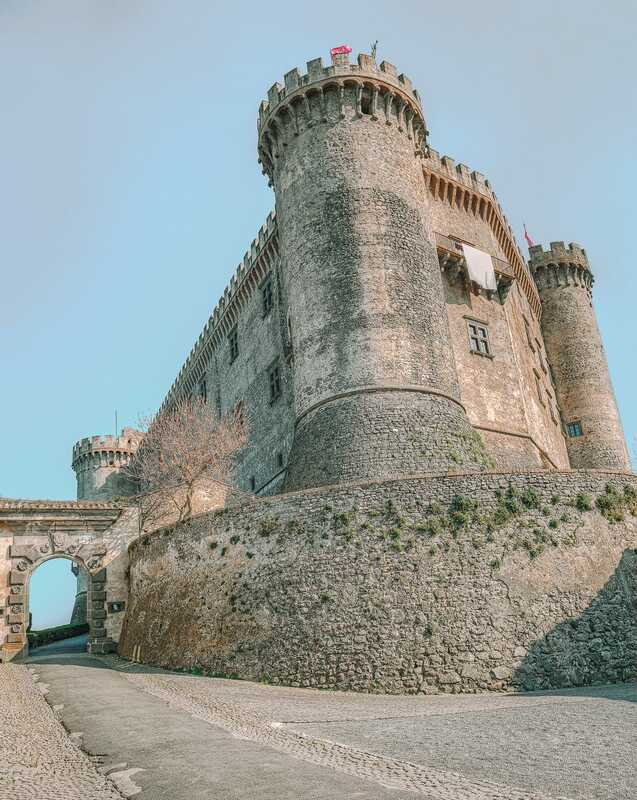 Take a look, below, at some of the best castles in Italy to visit. Have the best time! 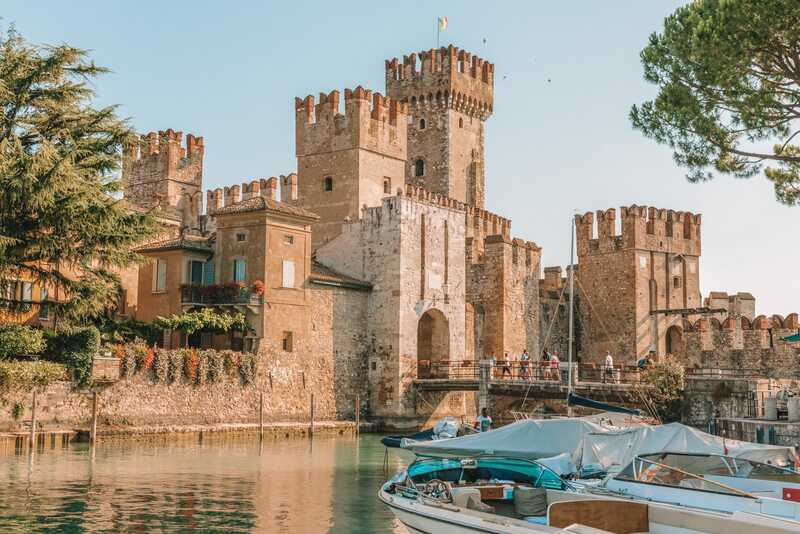 Dating as far back as the 13th century, Scaligero Castle has long been an inspiration to artists and painters and one spot you can’t miss when visiting Lake Garda. 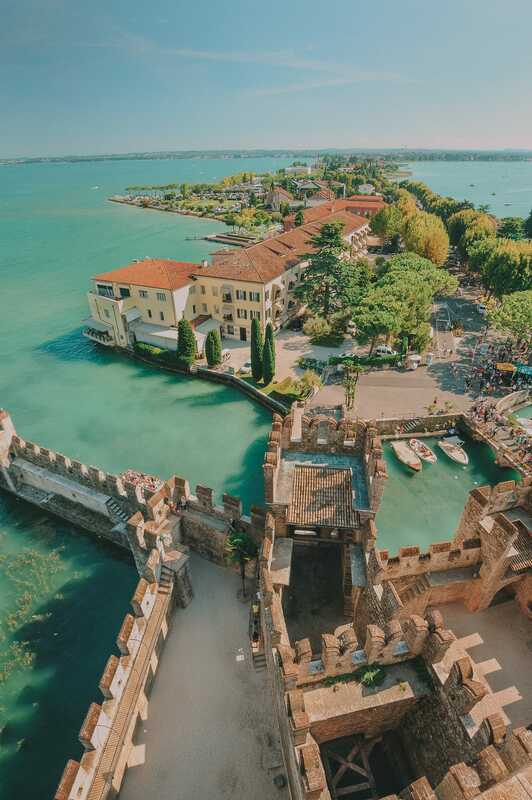 Sitting right on the banks of the lake, in the town of Sirmione, it’s a gorgeous place to spend a good few days exploring one of Italy’s most iconic (and beautiful) lakes. Once here, make sure to head inside the castle grounds and explore the little coves, streets and cobbled turrets that make this place so special. Just remember, it can get quite busy at peak times, so consider the time that you’re visiting to avoid the majority of the crowds. Literally meaning the Egg Castle, there’s this whole romantic legend about a magic egg that was used as a support under the foundations of this castle. 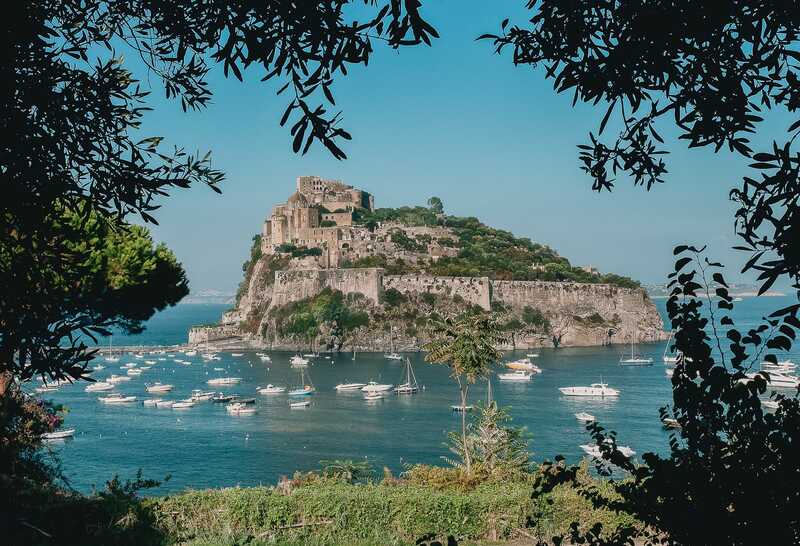 Now, thankfully, I’m pretty sure it’s just that (a legend) but Castel dell’Ovo is still one of the best castles in Italy you should definitely see when in Naples. Built in the 12th century by the Normans, it’s a gorgeous site to wander around and explore. It’s totally free to enter but you can pay an extra fee if you want to see some of the exhibitions they host. Now, one of the best times to visit has to be around sunset when the light transforms the castle and the waters with its orange hues. Just remember, you might need to have some good walking shoes (and a hikers spirit) to get up all the steps, too. 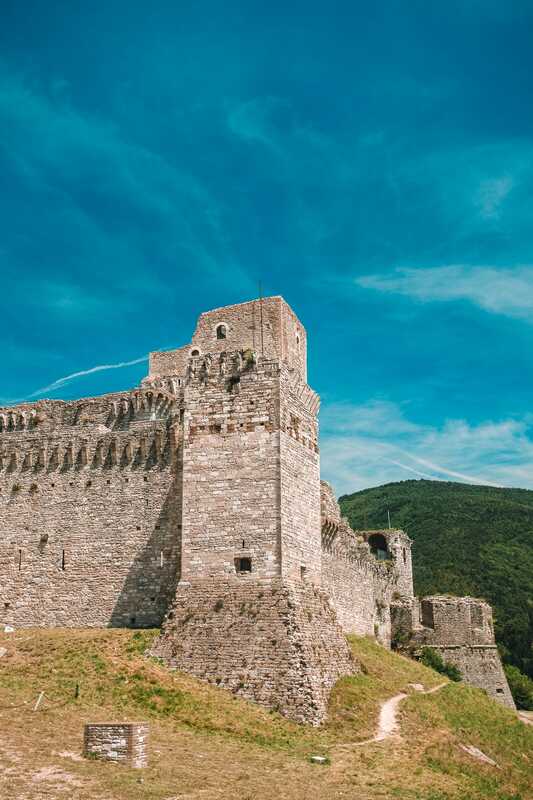 A castle that dates from the 12th century, Rocca Maggiore sits atop the Assisi Hill and is easily one of the best castles in Italy to explore. Now, it might be a little bit of a ramble to get to the castle, but it’s well worth it for the stunning views across the region. From the top, you’ll even see views that stretch all across Umbria, it’s beautiful. Once you’re here, take some time to walk around the castle grounds, see the incredible history inside and learn more about how people lived here. It really is a special place. 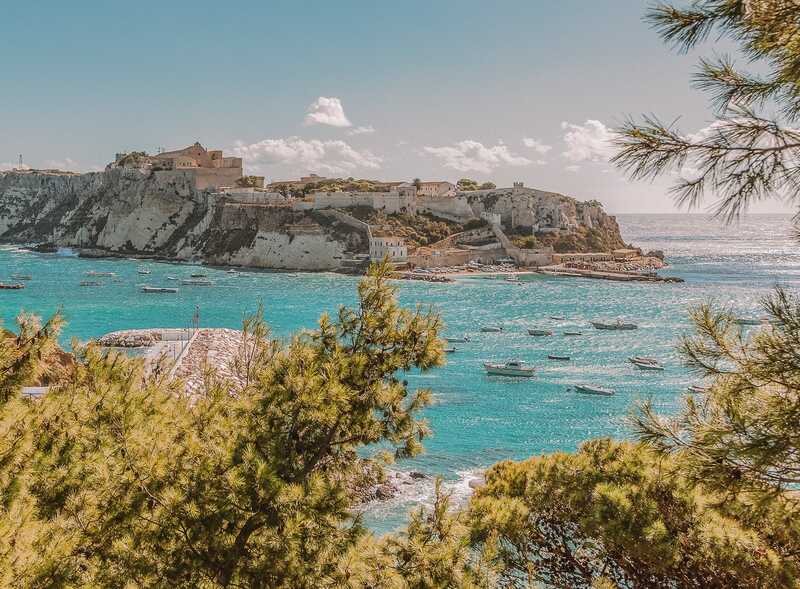 This magnificent castle is actually set on a cliff top on the sun-drenched isle of Tremiti. Access to the castle is by boat, where you will be surrounded by the turquoise waters of the Adriatic Sea. Needless to say, this is another castle you should definitely visit for the view of the surrounds. Also, once you’re here, make sure to spend some time exploring Gargano national park, too. There are so many beautiful national parks in Italy and it’s great to pair this up with a visit to the castles. 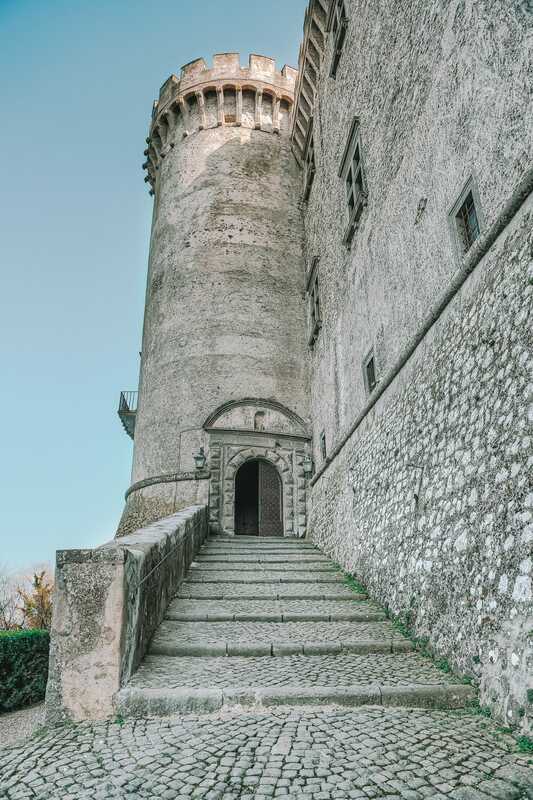 If you are exploring the gorgeous spots in Rome, make sure to also take a day trip then Odescalchi is easily one of the best castles in Italy to visit. Built way back in the 15th century, there is still so much of the castle (and some restored bits) to explore today. There’s also a shed load of art from the middle-ages too. It really is stunning to see. It is also most famous for being the former home of several prominent papal families and where Tom Cruise and Katie Holmes got married. Also, for a great place to stay, check into the H’All Tailor Suite (in Rome). It’s stunning. 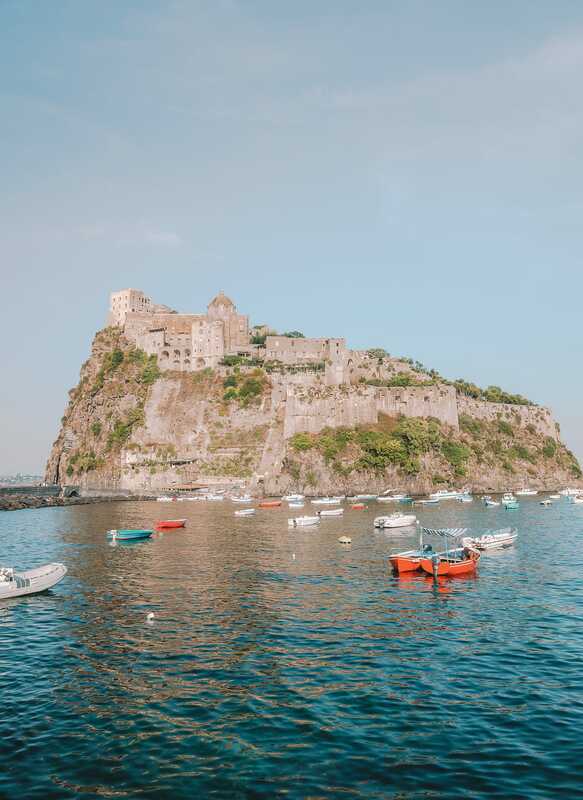 Sitting on a volcanic island, Aragonese Castle is accessible from Ischia by a small bridge that somehow makes this even more special. 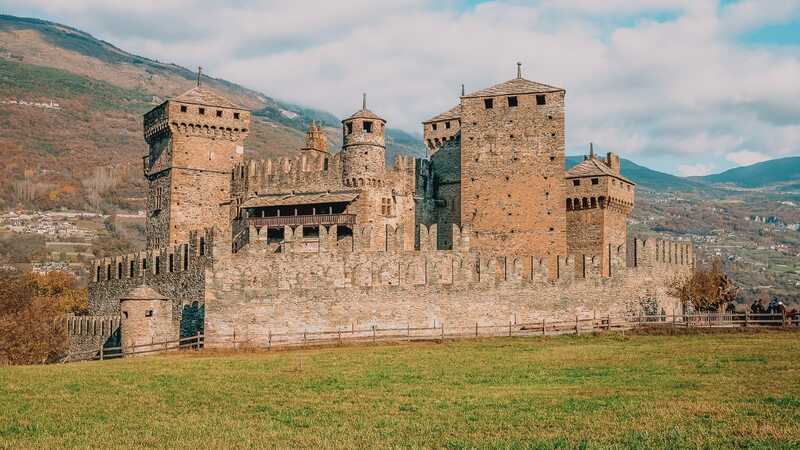 It really is one of the best castles in Italy to explore and certainly one of the most picturesque. 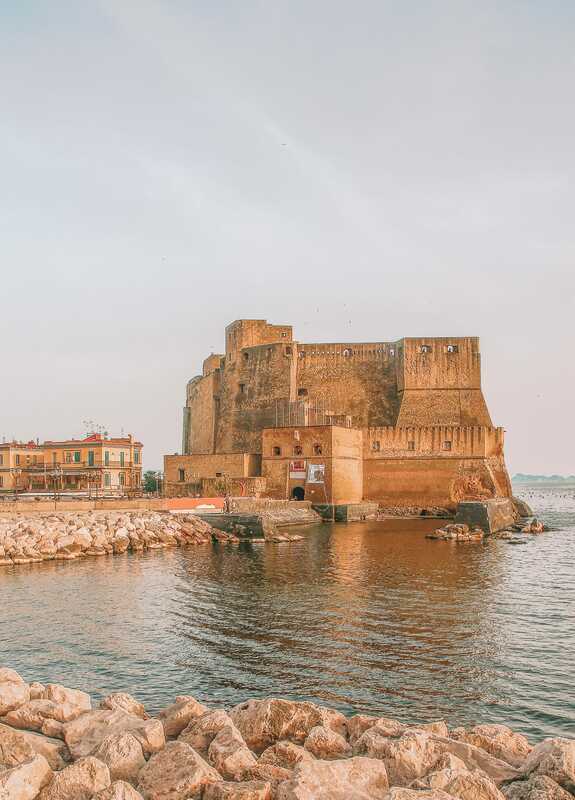 Amazingly, it dates from the 5th-century and was built to protect the area from pirates and still looks as dramatic now from the surrounding mainland. 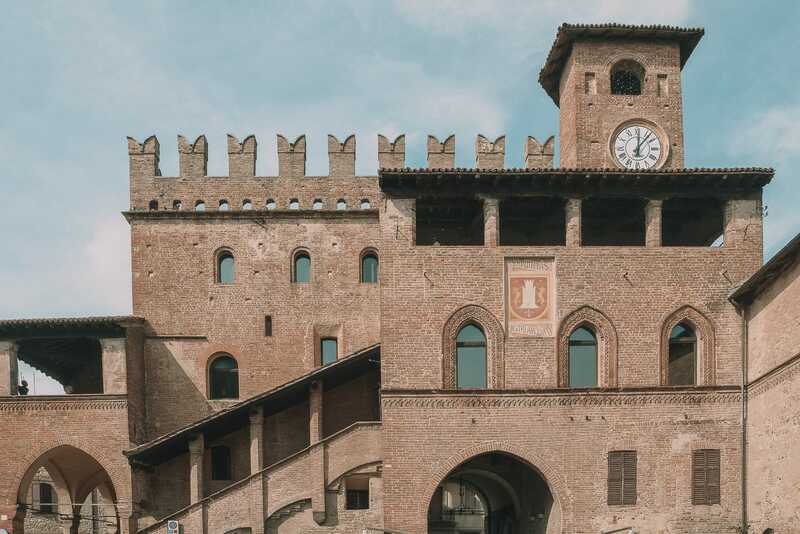 Built in the 8th century, Castell’Arquato actually encompasses a town itself. 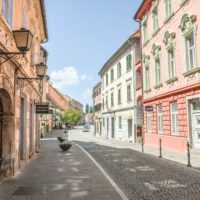 To this day, the town (within the castle walls) looks much as it would have in days gone by so it is the ideal place to come if you want a flavour of how the Middle Ages would have felt. 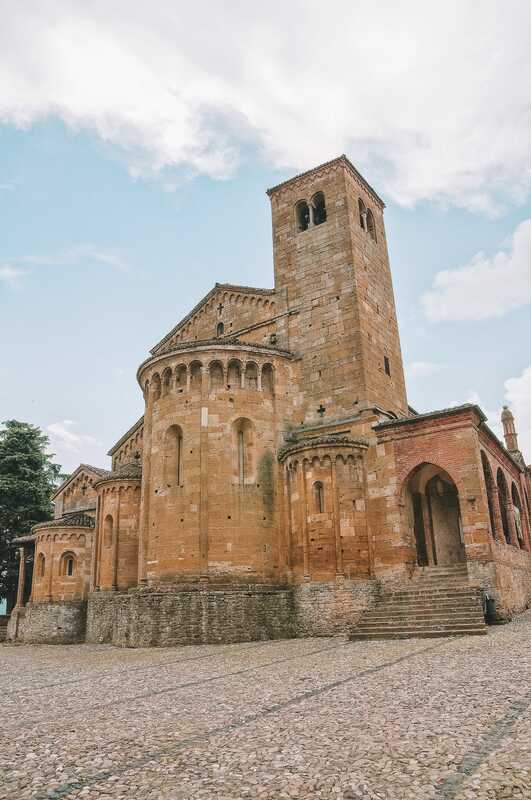 It really is stunning and easy to visit if you’re travelling between Milan and Bologna. Plus, if you’re based in Parma, it’s only around 35 km to get here (around 50-60 minutes drive). 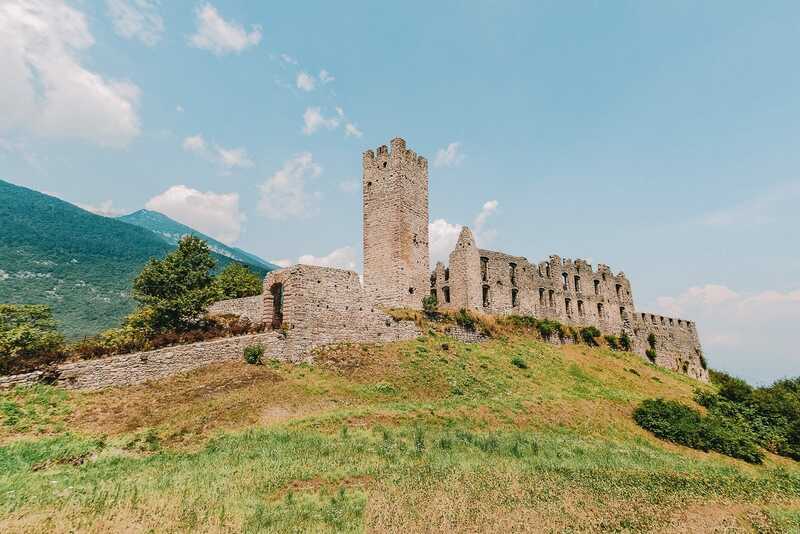 If you fancy a visit to the Italian Alps then Castle of Fenis is a great spot. 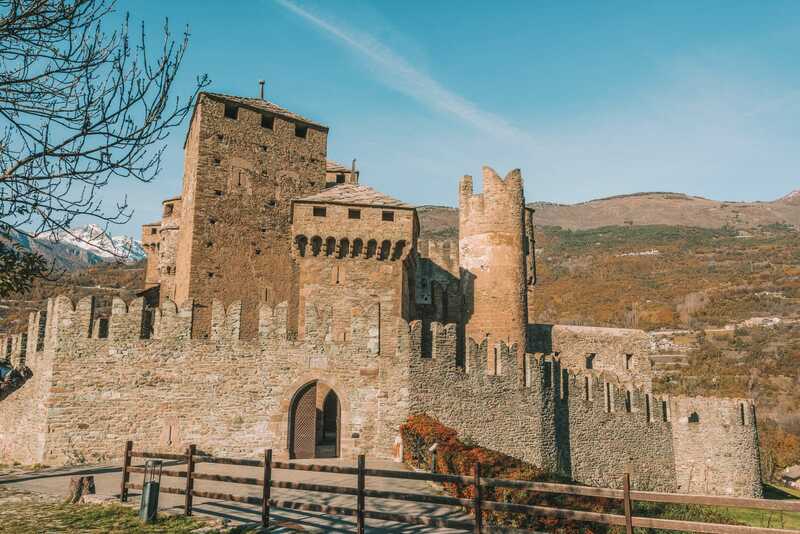 Now, it’s not only the stunning scenery that makes this area so special, but the castle itself is easily up there as one of the best castles in Italy to visit, especially for a stone castle. Dating back to the 13th century, one of its best features are the views but don’t forget to explore the castle grounds too. The only thing I’d point out is that you need to join a guided tour if you want to visit inside (and they only run in Italian). This can make it quite prohibitive if you don’t speak the language, so consider this before visiting. What I would say, even though this castle is totally gorgeous, I wouldn’t make a special trip. 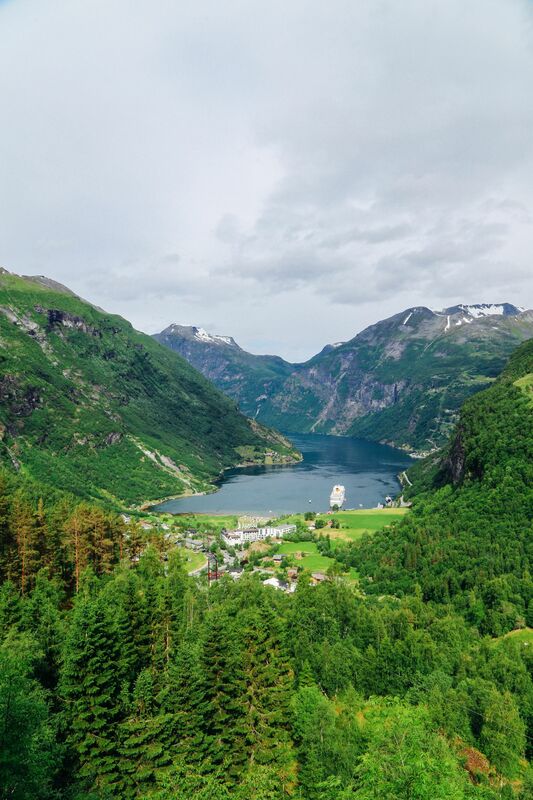 Definitely, include it as a brief stopping point on your travel but don’t make it a destination in itself. 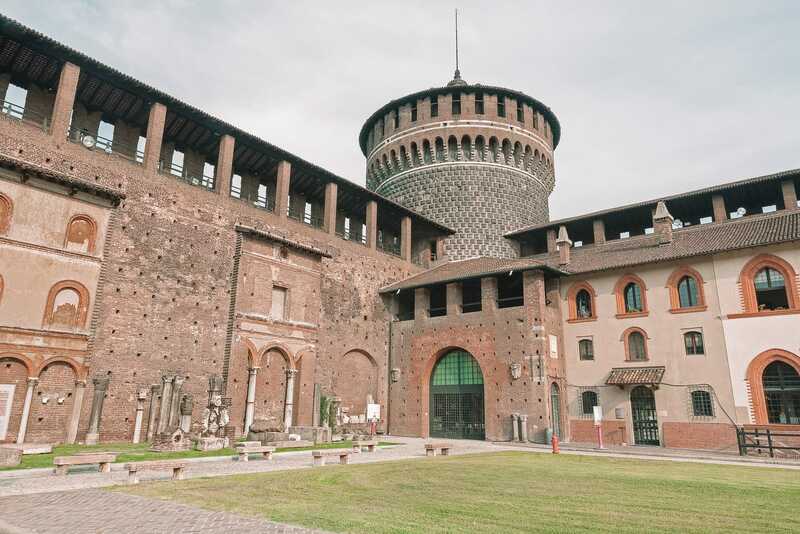 Smack in the centre of Milan is, arguably, one of the best castles in Italy to explore. 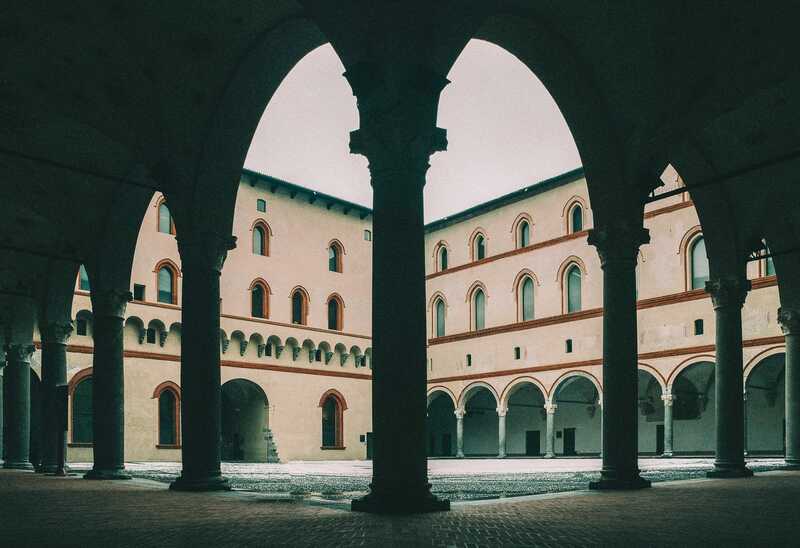 Best of all, It’s within walking distance from the Duomo so you have almost no reason not to pop into this castle. Now, the grounds are totally huge and it will take a while to see everything. If you’re short on time, just make sure to see the key sites that take your fancy. The museum (about lots of different things) is also massive and can take a while to get around. 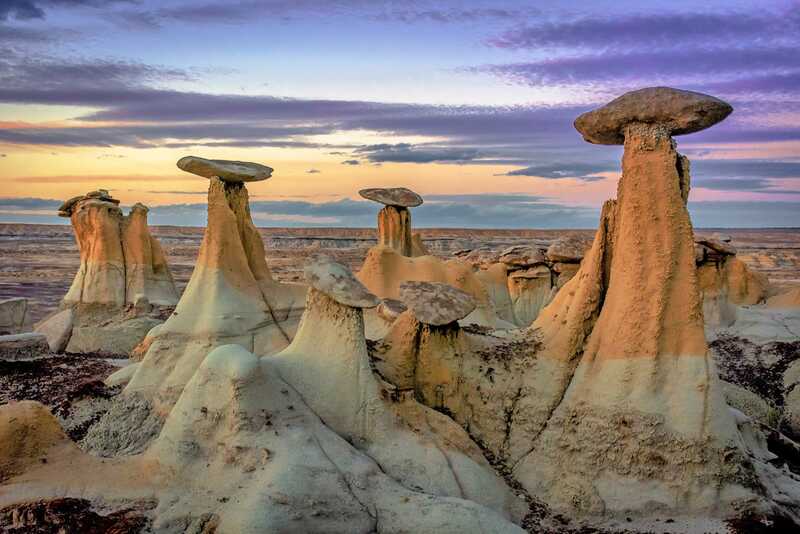 Just make sure to not visit if you’ve not eaten, you’ll lose track of time and spend a few hours here. It’s best to head across straight after breakfast or lunch. 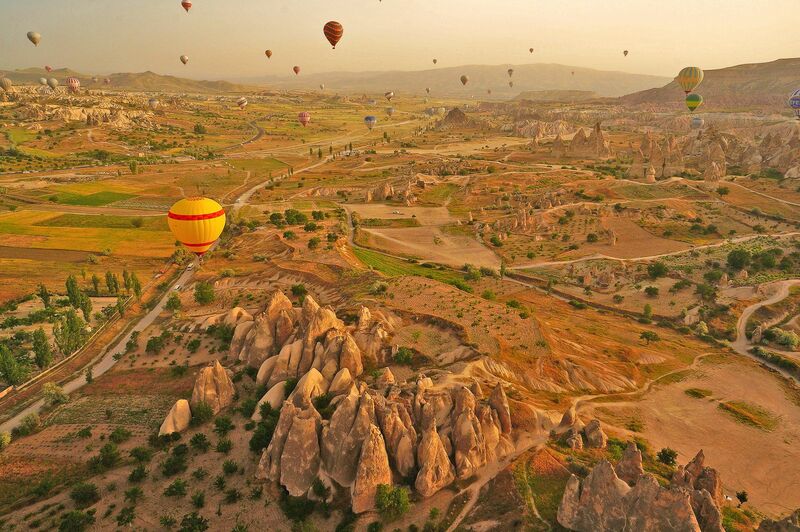 27 Amazing Ancient Ruins Around The World That You Need To See! 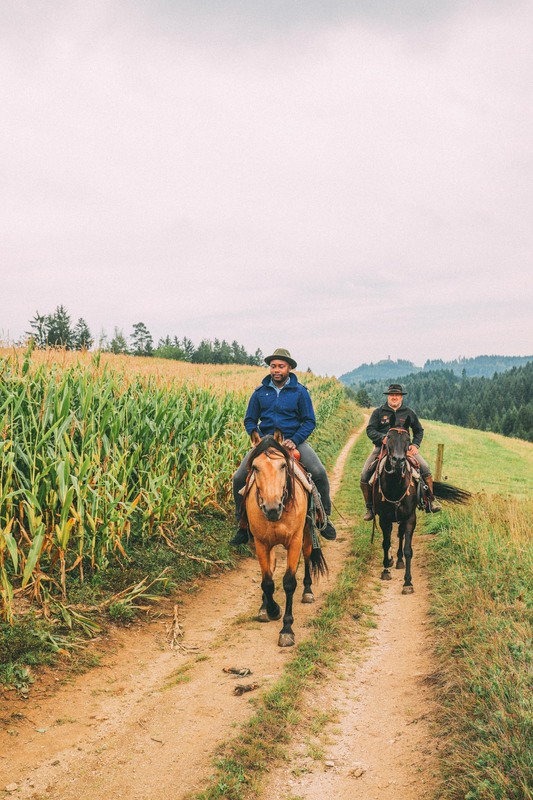 7 Effective Ways To Become A Better Version Of Yourself This Year – The Movie! This Is One Experience You Definitely Have To Do In Iceland… And We Finally Did It!!! Planning A New Years Celebration? 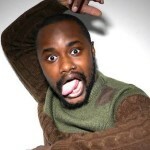 Try London! A Wintry Afternoon In London… Plus The Juiciest Burgers In Town!